Opening Reception: November 18 6:00 -7:30 p.m. This is a student-curated exhibit from Professor Paola Bertucci’s undergraduate seminar, Spies, Secrets, and Science. Books of secrets divulged medicinal, alchemical, artisanal, and other kinds of “secrets” of nature and the arts. 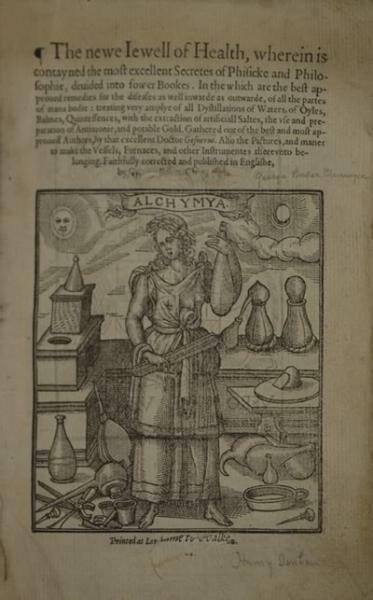 These “cheap” books, mostly written as books of recipes or how-to manuals, met with extraordinary success around the 16th century; they were also translated into several languages and reprinted until the 19th century. Whether real or imaginary, their authors achieved a remarkable level of authority among the reading public. The legendary “Isabella Cortese” and “Alessio Piemontese” revealed much about nature and its hidden ways of operating, just as their better known contemporaries Francis Bacon and René Descartes. Selections from the Medical Historical Library's collections will be on display.